Charles C.M. Kellom has been named assistant dean for multicultural student affairs at Ohio Wesleyan University. He currently serves as director of multicultural student affairs at Northwestern University in Evanston, Illinois. He starts at OWU on Oct. 16. Ohio Wesleyan University has appointed Charles C.M. Kellom as its new assistant dean for multicultural student affairs. Kellom currently serves as the director of multicultural student affairs at Northwestern University, a private college based in Evanston, Illinois, with 21,000 undergraduate and graduate students at three campuses in Illinois and Qatar. At Ohio Wesleyan, Kellom will oversee the Office of Multicultural Student Affairs, which supports underrepresented students within the campus community to encourage their personal and academic success as well as their persistence to graduation. Kellom will report to Kristin J. Weyman, Ohio Wesleyan’s associate dean for student success. Kellom will begin his new role Oct. 16. 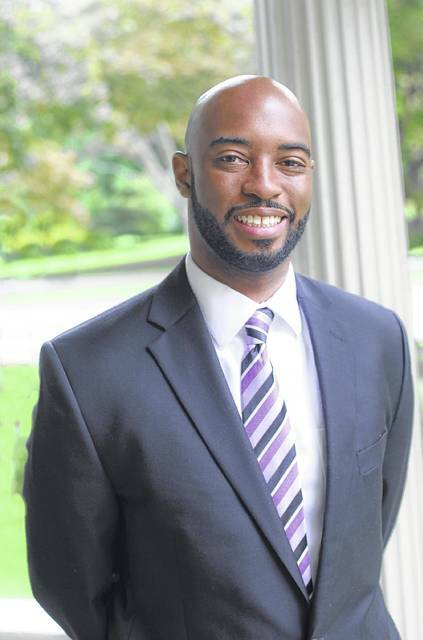 He joined the Northwestern staff in 2011, serving as the university’s director of African American student affairs for three years before being named director of multicultural student affairs in 2014. Prior to joining Northwestern, he worked as the assistant director of the Office of Diversity Programs & Services at George Mason University in Fairfax, Virginia, and as an area coordinator, supporting the first-year student experience, at the University of Dayton in west-central Ohio. Kellom earned his Bachelor of Arts degree in journalism and his Master of Arts degree in English, both from the University of Dayton, and is a member of Kappa Alpha Psi Fraternity, Inc. Originally from Cincinnati, Kellom said he is excited to return to Ohio and to become part of the Ohio Wesleyan community.